Here is my tag using Alma’s Sewing Room. This Girl is so lovely. 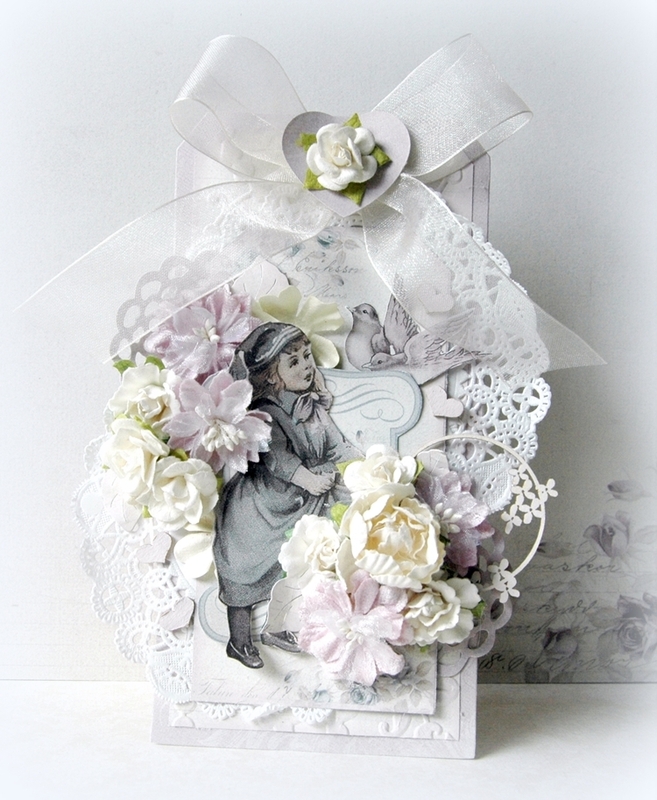 I decorated these beautiful papers with Flowers of purple and white.